There is an important conversation developers need to be having in the agile community, and it doesn’t involve scaling, according to Joshua Kerievsky, CEO of Industrial Logic, an agile consulting firm. He kicked off Agile 2016’s Wednesday morning with a keynote on modern agile. “These basic four values or principles of the manifesto I am humbly suggesting we consider them very useful and historical, and consider modern agile to be our new goal,” Kerievsky said. The problem with the principles, according to him, are that they fail to 1. Consider the entire ecosystem of a project, not just one part of it anymore. 2. Deliver value continuously, not just deliver working software. 3. Experiment to figure out problems. 4. Foster a healthy environment. 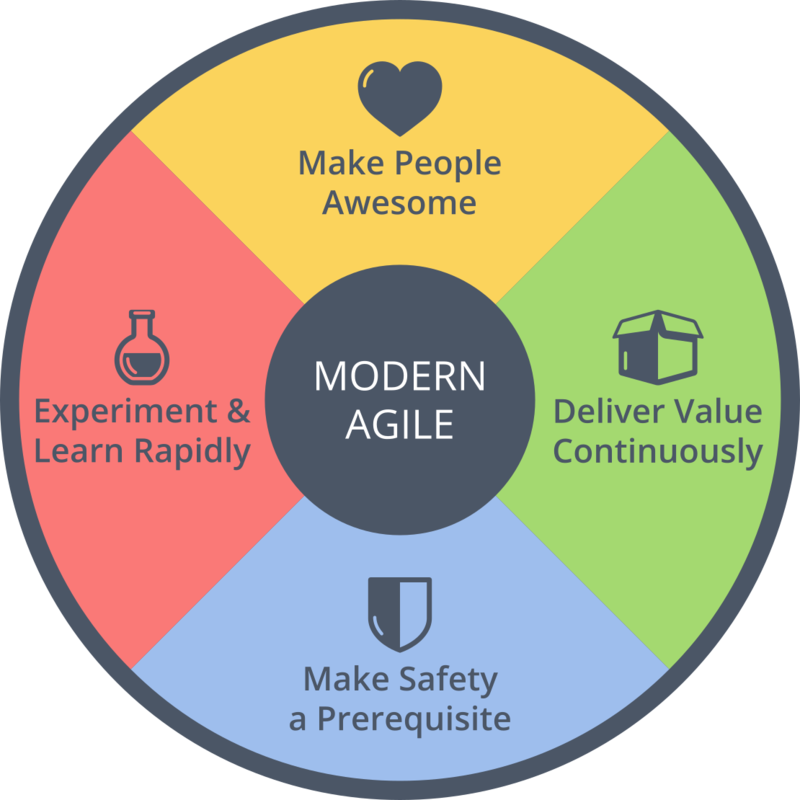 Instead of following these four old principles, Kerievsky proposed four new principles for modern agile. Making people awesome doesn’t mean just customers; it means everyone in the entire ecosystem, from creating, making, buying, selling and funding. Making safety a prerequisite involves establishing a safe psychological culture to unlock high performance, and to avoid hazardous work. “If you have a culture of fear, none of your fancy practices or processes will help you,” said Kerievsky. Experimenting and learning rapidly is something the agile community has already been practicing for years. It is about taking risks and learning from mistakes. Delivering value continuously requires breaking down work in order to deliver things faster, but in a safe manner.